All of the Sukiya style detached rooms has a view of over 6600 square meters of spectacular Japanese garden at "Iyashi-no Yado Ishinoya". 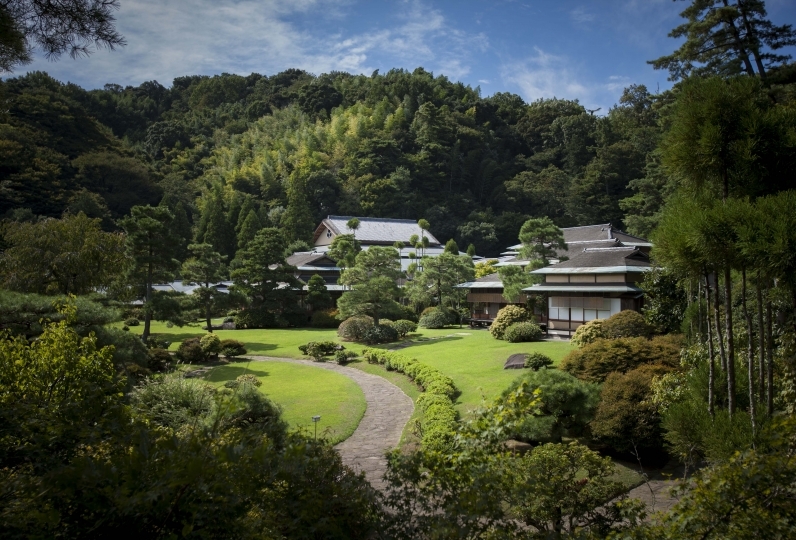 Guests will see grand Japanese garden as soon as they arrive. It is full of rustic grass and trees and Nishiki carps swim very elegantly. When you walk in further, the luxurious space will steal your attention. Izunagaoka has 1300 years of history for famous hot water. It is a smooth and simple alkaline hot spring. Even your fatigue will melt away by the water and guests can relax throughout the body and heart. All of the rooms on first floor have a private outdoor bath. 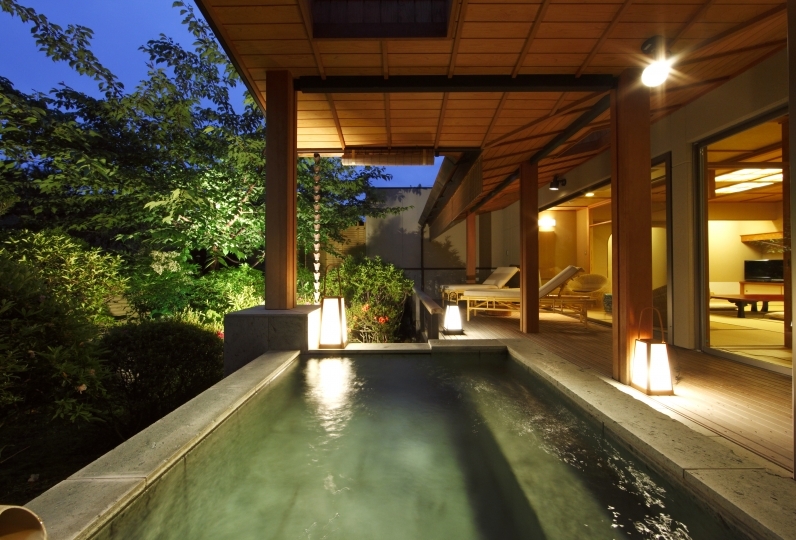 Each room has a newly built private natural hot spring faucet indoor bath. Large size of Hinoki wood bath tubs and rock bath tubs are prepared. Each room varies so that different sized groups can enjoy a luxury bath time comfortably. Ishinoya meal is made with carefully chosen local ingredients, fresh seafood, and seasonal ingredients and the chef spends time and effort to make them well. Guests will see how much the hotel thinks of them by seeing the meal. The hotel holds onto tradition but also accepts a new breeze. There is an aroma for relaxing, acomfortable sleeping goods, and there is a book cafe space for taking it easy. Please feel the comfortable mixed atmosphere with someone special. We used as birthday celebration of companion. I was very happy to exchange these requests until the day before I stayed, and at the same time, I wanted to quickly ask for a gentle, warm-hearted telephone service. It was a very pleasant stay and I could enjoy the inner bath and the large public bath and the Izu Nagaoka Onsen. Thank you very much. It was used for the first time. The meal was elaborate and I enjoyed it very much. The hot spring could also be used comfortably. However, I was moved to the mother because of the stairs. I would like you to have coffee available in your room. It was the first time Izu Nagaoka Onsen, and I was lucky that I could meet such a wonderful inn. The staff is very kind, but not too persistent and feels comfortable with the hospitality from the reception to the turn-off. The hot spring was both male and female, but the quality of the spring was good, and the structure was as good as expected. The meal was carefully designed with the ingredients in mind, and I enjoyed it. I am grateful to the chef. I want to repeat it again. All of the 1st floor rooms have an outside onsen bath. 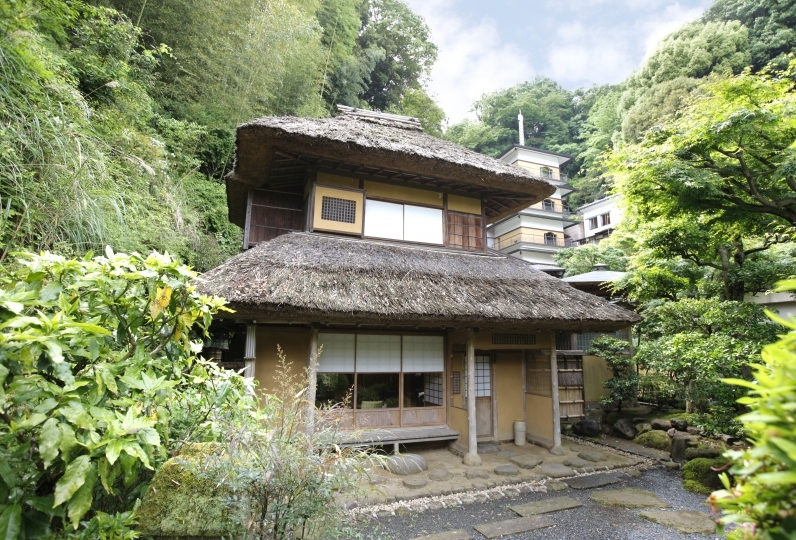 Each room has either a Hinoki wood bath or a rock bath. 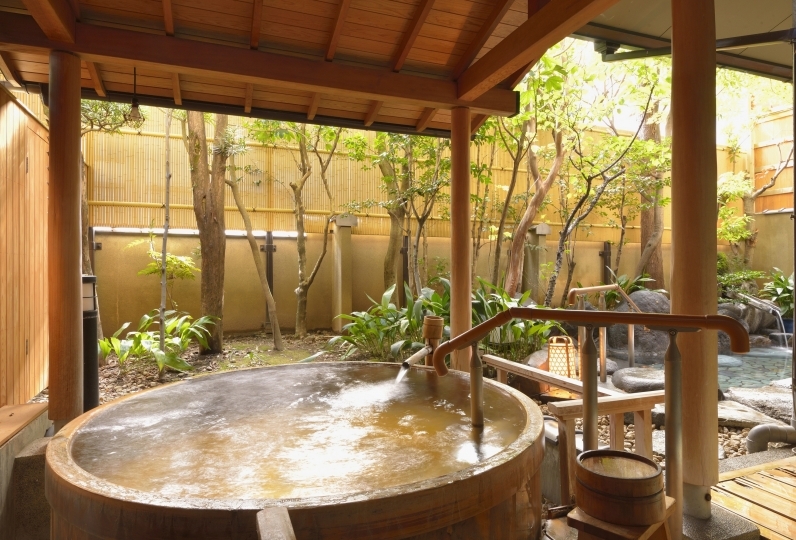 The bath tub is big enough for couples or families to enjoy great Izu Nagaoka hot spring water together. *All the rooms have a private bath and is available 24 hours. Outdoor baths are only with the 1st floor rooms. There is for male and female public bathing. In the outside bath you will feel supreme bliss while seeing mountain ranges and feeling a comfortable breeze. Your heart will melt while watching a sky full of stars at night time. There is a book cafe in the lobby that feels like a VIP lounge. Please use that area to take a rest. They have coffee and soft drinks. The hot spring tax of 150 yen is not included. Please let us know if you need this shuttle service when you make your reservation online, and let the hotel know when you know what time you will arrive at the station. 71 of people have viewed this page within the past 24 hours.